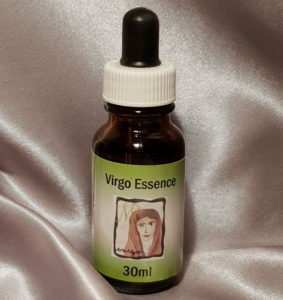 Virgo Essence is the sixth in our Star Sign Range. Also the sixth sign of the zodiac Virgo the Maiden (24th August – 23rd September) represents a maiden holding an ear of wheat, symbolising the productive nature of the sign. Virgo is the sign of order, organization, precision and safekeeping. They are the worriers of the zodiac. Virgos are always willing to help: they are modest and shy and tend to underestimate themselves and others. Taken too far, the Virgo personality can easily fall into servility. This sign needs to learn to serve from the heart with true humility, seeking neither recognition nor reward. The karmic challenge is to exercise judgement and discernment without becoming critical or pedantic. Virgo gets along well with Scorpio and Cancer. The challenging relationships are with Pisces, Sagittarius and Gemini.